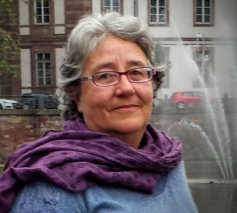 Alessandra Pauncz is Executive Director of the European Network of the work with perpetrators (WWP EN) a young vibrant network organization of over 50 organizations from 26 European countries. She earned her Ph.D. at the University of Rome "La Sapienza" and has been working in the field of domestic violence for over 20 years covering many areas of expertise. 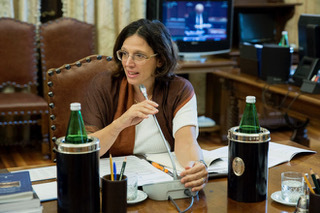 She has advocated and worked for victims of domestic violence as a shelter worker, psychologist, researcher, manager, trainer, and in fund and conscious raising at a local (Association Artemisia), provincial (Equal Opportunities of the Province of Florence), regional, national and European level (European Women's Lobby & WWP-EN). She founded and ran the first Centre in Italy working with perpetrators (CAM – Centre for abusive men), and set up the National Italian Network of work with perpetatrors (Relive). Additionally, Alessandra has published articles and books for the general public (Shifting power: Romano, 2012,; Da uomo a uomo: Erickson, 2015; Dire di no alla violenza domestica: Angeli, 2016). 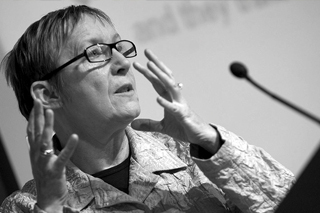 Liz Kelly, PhD (Sociology), BA (Sociology and Politics), is professor of sexualised violence at London Metropolitan University, where she is also director of the Child and Woman Abuse Studies Unit (CWASU) and holds the Roddick Chair on Violence against Women. She has been active in the field of violence against women and children for fory years, and is the author of Surviving Sexual Violence, which established the concept of a 'continuum of violence' and over 100 book chapters and journal articles. In 2000, Liz was awarded a CBE in the New Years Honours List for 'services combating violence against women and children', and in January 2005 was appointed to the Board of Commissioners of the Women's National Commission. Dr Marceline Naudi (B.A.,M.A.(Bradford),Ph.D. (Manchester)) is a social worker by profession and a Senior Lecturer within the Department of Gender Studies, at the University of Malta. She contributes to teaching and supervision of student research on gender issues, violence against women and other anti-oppressive issues at Diploma, Bachelor, Master and Doctoral level. She continues to be active on the issues of gender equality and violence against women, LGBTIQ, as well as wider human rights issues, both locally in Malta and in Europe. She is currently a board member of the Women Against Violence Europe (WAVE) network, and vice president of GREVIO, the Council of Europe monitoring body of the Istanbul Convention. She acts as Regional Editor of the Journal on Gender Based Violence, and is co-editing a special issue, and she is leading EU funded research projects in Malta on the Bystanders Approach to Sexual Harassment, and on Barriers to Reporting for victims of Violence against Women. Marceline is also the Scientific Director of the European Observatory on Femicide which was launched on the 1st of March and is currently hosted by the University of Malta.